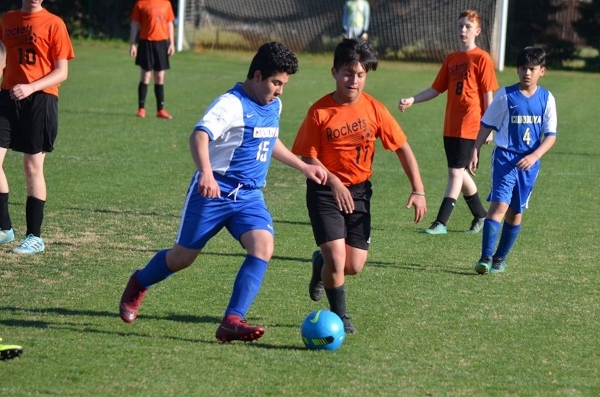 CORDOVA — In middle school soccer action Monday, the Rockingham Middle School boys’ and girls’ soccer teams traveled to in-county opponent Cordova Middle School and swept the home competition. 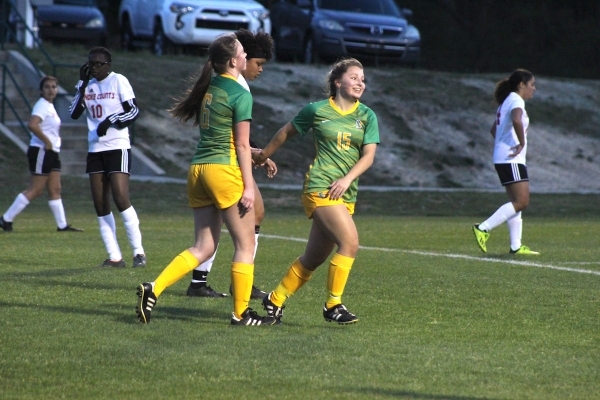 ROCKINGHAM — A pair of goals in each half of Monday’s Sandhills Athletic Conference soccer match for the Richmond Senior High School girls’ soccer team was more than enough to put away Hoke County High School. 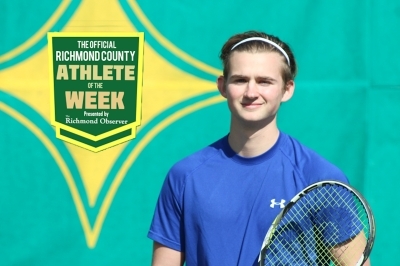 ROCKINGHAM — Mason Bailey, a senior on the Richmond Senior High School tennis team, has been named the Official Richmond County Male Athlete of the Week. 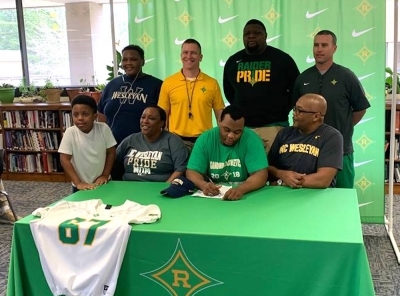 ROCKINGHAM — While he was looking for colleges to attend and continue his football career, Richmond Senior High School’s Caleb Ross was eyeing a unique quality that the Raiders had offered him the past four years -- a sense of family. 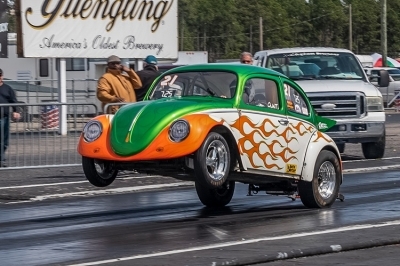 ROCKINGHAM – Clint Wood of Wendell and Colby Marshburn of Clinton were the Super Pro and Pro bracket winners in Sunday’s VWs at the Rock all-Volkswagen drag race and car show at Rockingham Dragway. 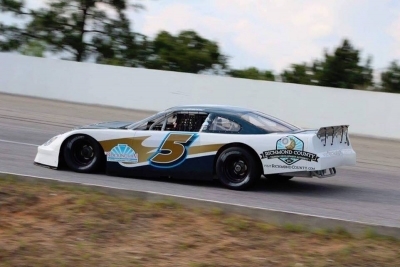 ROCKINGHAM — When Old School Racing hit the supertruck circuit in 2012, the team was in it for the thrill behind the wheel. 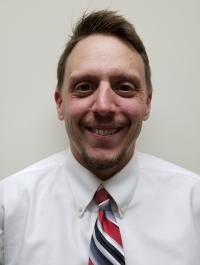 But another of its top priorities over the past eight seasons has been to extend Richmond County’s notoriety beyond the Sandhills. ROCKINGHAM — The Richmond Senior High School junior varsity baseball team continued its hot start to the 2019 campaign with a walk-off win against Pinecrest High School on Tuesday, before suffering its first loss of the season two nights later in Southern Pines. RICHMOND COUNTY — In middle school sports action on Wednesday, the Rockingham Middle School soccer teams swept Anson Middle School, while the Ellerbe Middle School baseball and softball teams split with Cordova Middle School. 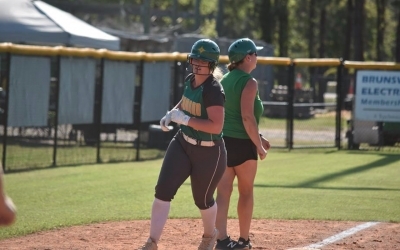 ROCKINGHAM — The Richmond Senior High School varsity softball team has caught the home run bug this week, as the Lady Raiders blasted another five homers in Thursday’s game, bringing the week’s total to 14 dingers in three games. ROCKINGHAM — Thursday’s Sandhills Athletic Conference match against Hoke County High School was a big test for the Raider tennis team. ROCKINGHAM — Senior pitcher Greyson Way made program history in the first inning of Wednesday’s non-conference softball game against Uwharrie Charter Academy.